Well.. as the famous Soviet cartoon character said, “[I] have no more strength to hang on.” With these words, I came to the Prime Minister [Arseniy Yatsenyuk] yesterday. The struggle of common sense with the bureaucrats has already gone on past 72 hours, and for an absolutely specific reason: the issuance of equipment and weapons (including heavy weapons) for National Guard units and the specialized battalions of the Interior MInistry that were formed from volunteers. Donbas, Dnepr [Dnipro]–1, Azov, Shakhtarsk, Kyiv–1, Kyiv–2 … these are all of our battalions. There are more than thirty of them–brave guys. Already hardened in combat, worthy of full arms! ”I give you 72 hours to fulfill all the formalities and procedures–to issue the weapons from the warehouses to the Interior Ministry and the National Guard. What don’t you understand, what other command should I give you? The Prime Minister gives you a direct order–[just] issue them!” This irritated retort Arseniy Yatsenyuk addressed to the officials of the Ministry of Economy and the Ministry of Defense three days ago. But there are procedures, approvals … [this would take] at least a couple of weeks, if there aren’t any questions. And it’s likely that there will be questions…a rustling of clerks’ papers. I have been tolerant, was overly nice and tried to be amicable–this [approach] does not work. It doesn’t work this way! –You weren’t able to get it? –No, not stronger. *********** End of ceremonies. [It’s] war. [I am] convening the government. At 2:30 pm EEST, the Cabinet of Ministers was urgently convened. A resolution of the “Issues of withdrawal and transfer of weapons, combat equipment, and other military goods.” The direct procedure for obtaining weapons at the request of the Minister of Internal Affairs, among other things. The party of bureaucrats was defeated on its head at the Cabinet–Arseniy did not allow for objections, mentions of the NSDC [National Security and Defense Council], etc… Thanks to the supporting ministers! We overcame ourselves, our archaism. [So, you] ask why did [we] drag our feet and then get it done just now? As I have already said–let’s put all sensitivity aside–it’s nothing personal–we have guys out there with two RPGs for every three tanks… Because there are a lot more of us, the weirdos, that begin with the letter M [Ministers] and over-cautious individuals, who sit in long corridors of power, a lot more than you can imagine… But, if only in the structures of power. But [it’s] nothing, [we] will overcome this and break through! The main thing is do what you have to. Everyone should do it! Tomorrow–all the attention [goes to] anti-tank weapons. We formalize it–and take [them] away from the warehouses–and send them off. Up to 48 hours. So that no schlock doubts that they will get what they deserve by crossing the border of Ukraine in a tank or an APC!.. 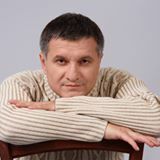 This entry was posted in English, English News, Others, South&Eastern Ukraine, War in Donbas and tagged #RussiaInvadedUkraine, #SaveUkraine, #UkraineUnderAttack, Arsen Avakov, Ukraine. Bookmark the permalink.